This is a different angle of the Butchers Knife. It was the fourth rapid of our trip. 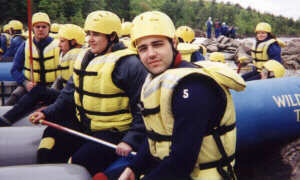 On the day that we rafted, it was a class 5 rapid. 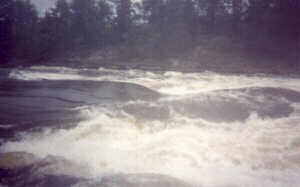 During our trip, I learnt the logic behind how rapids are classed. 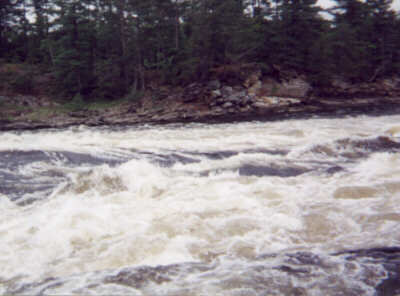 Rapids are not classed by how big they are, but by how dangerous they are to the raft and/or rafters. 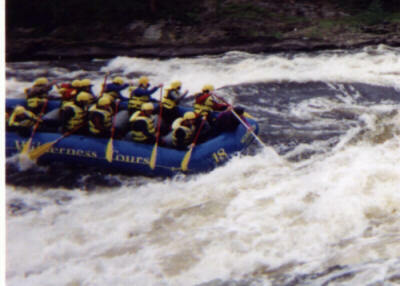 On the day of our trip, one person asked our guide if we would raft a class 6 rapid. 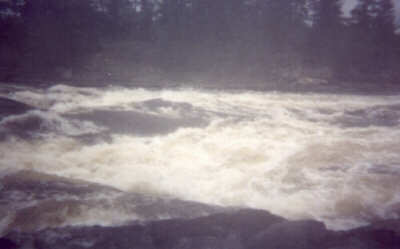 His response was that for inexperienced rafters, a class 6 rapid would be like Niagra Falls! It is simply not safe to run a Class 6 rapid for fun. WHEW! We made it! After all is said and done, everyone had a fun day. Another trip is in the works for Next Year!